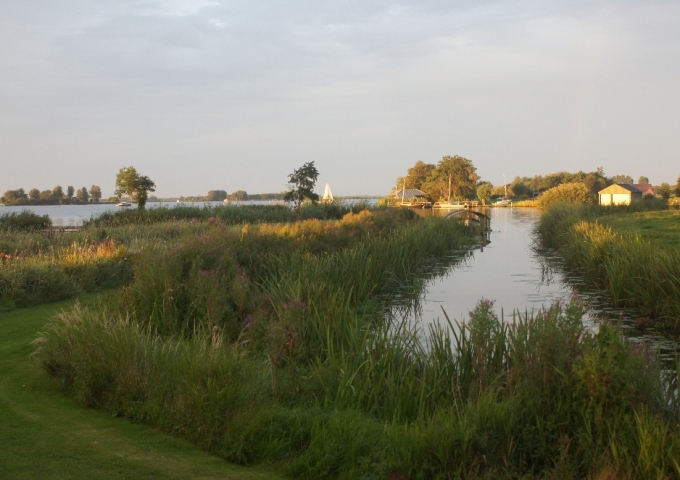 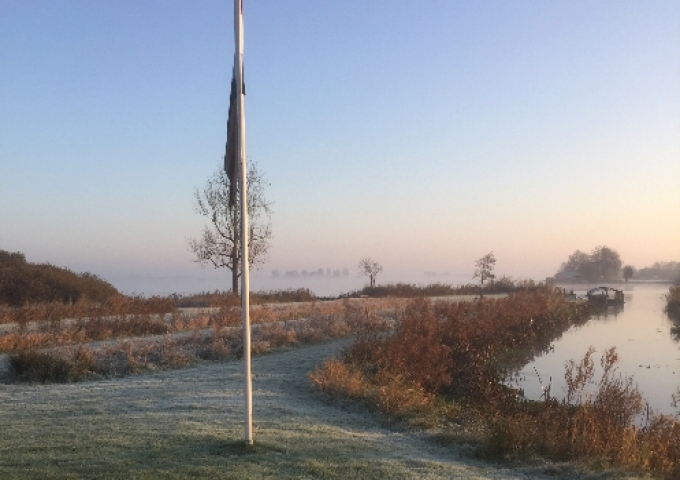 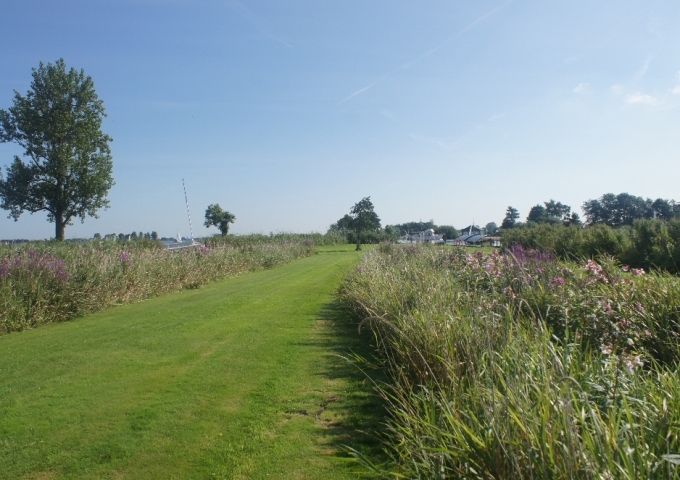 Top location with an exclusive Captains Launch for an unforgettable watersports holiday at Grou. 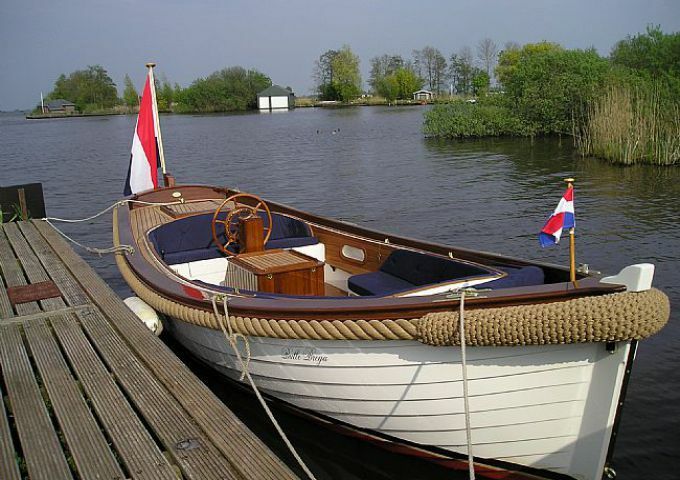 We offer you the occasion of enjoying the splendid Frysian lake area in an unique and exclusive manner and at the same time get more aquaited with the Captains Launch, a "Dutch top maritime product". 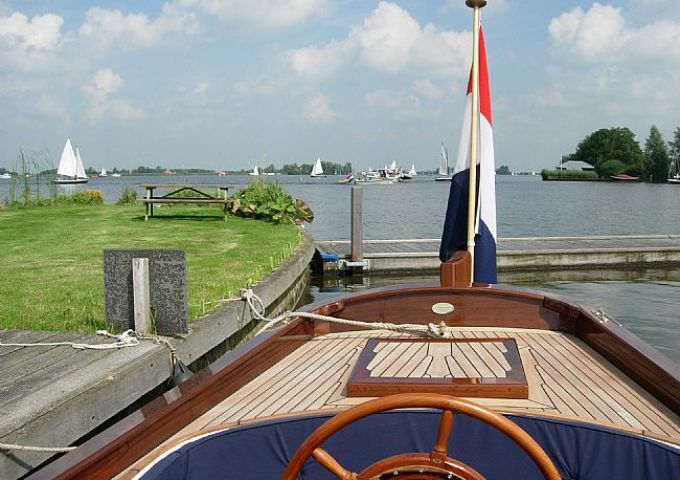 As the only party in the Netherlands we offer the Captains Launch for hiring, in combination with a very comfortable house. 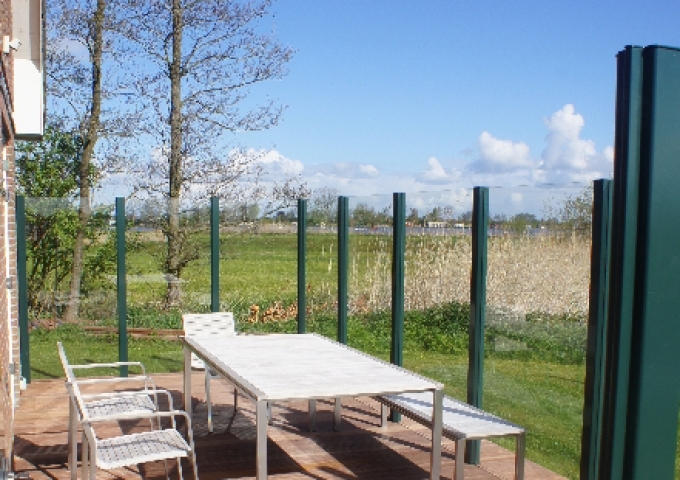 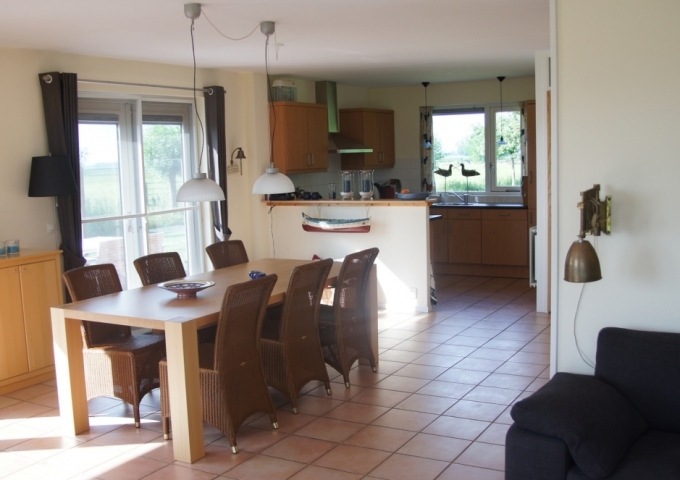 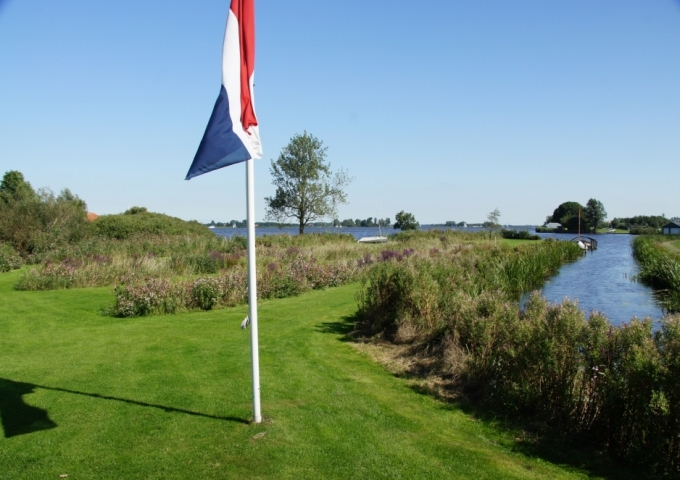 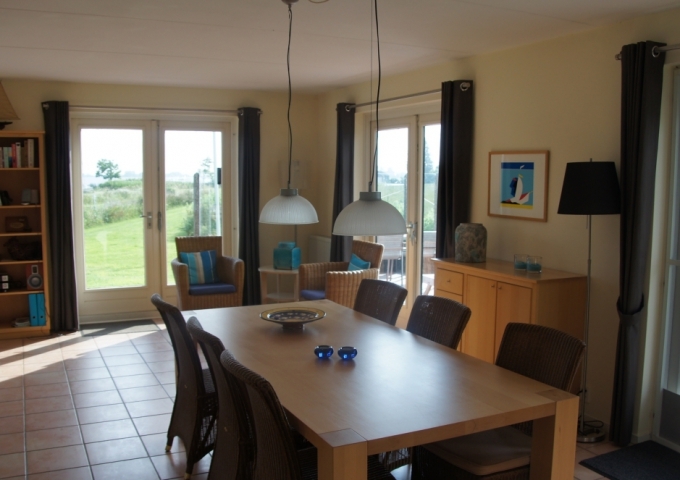 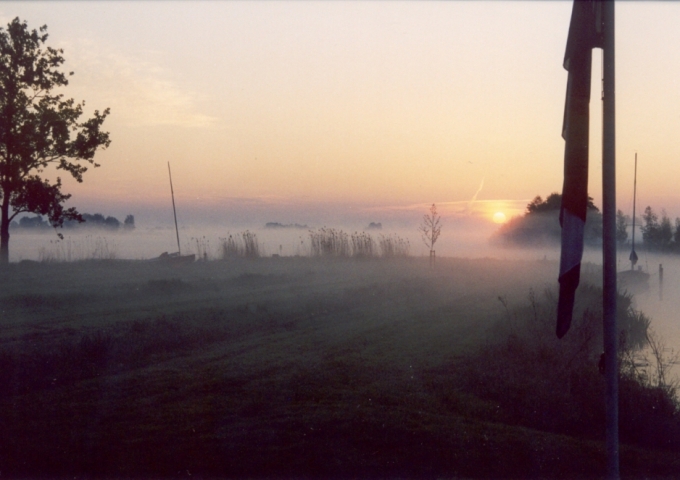 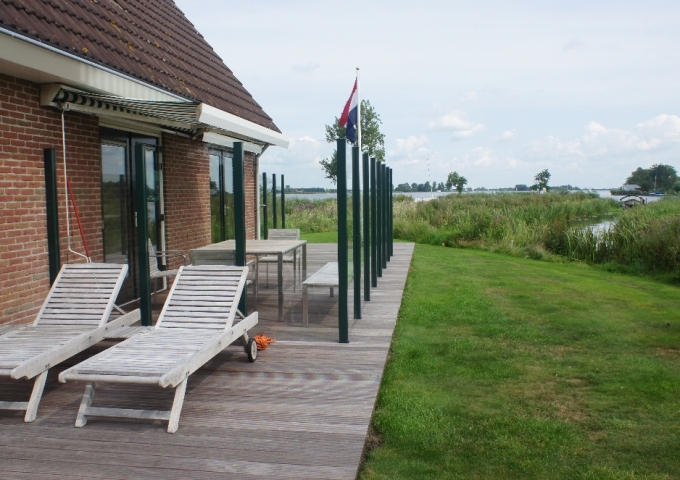 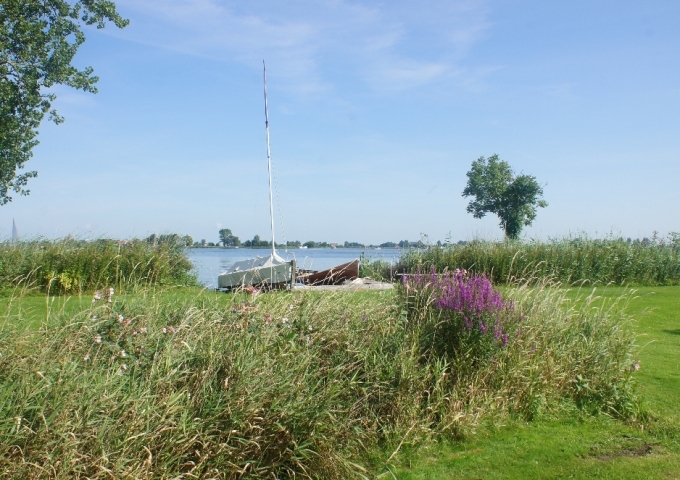 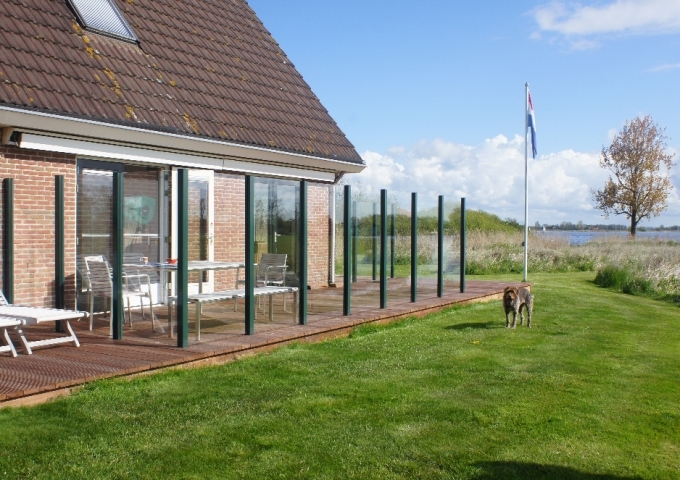 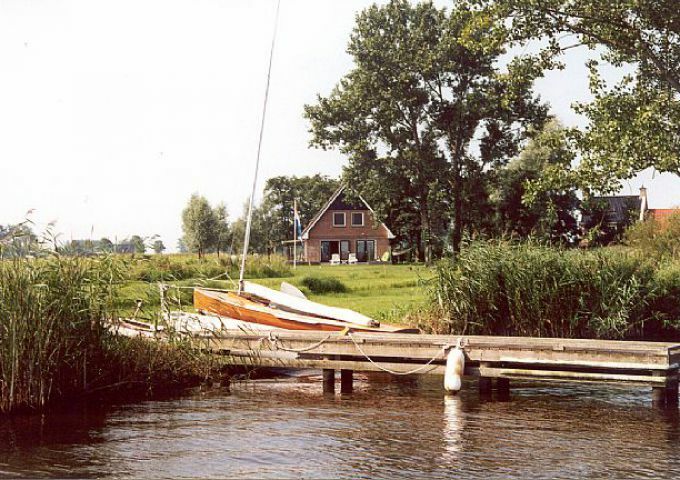 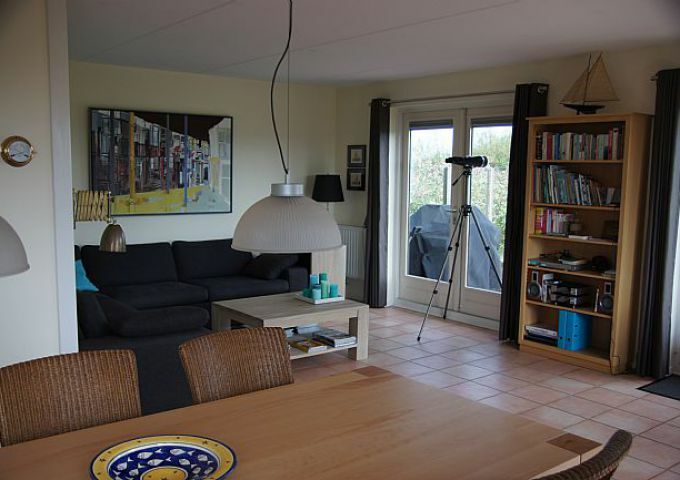 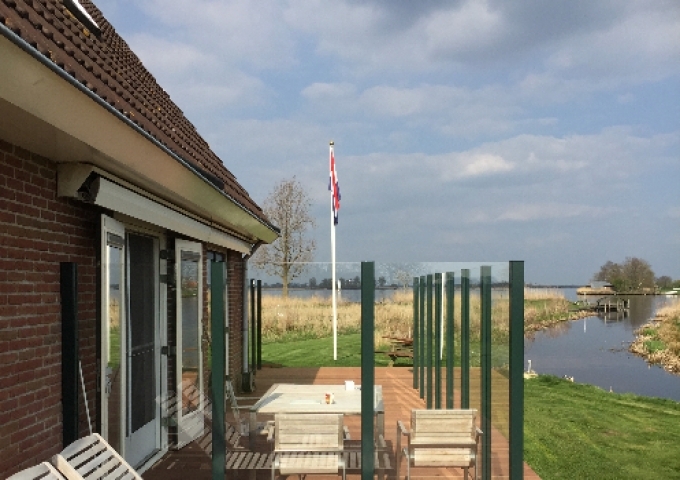 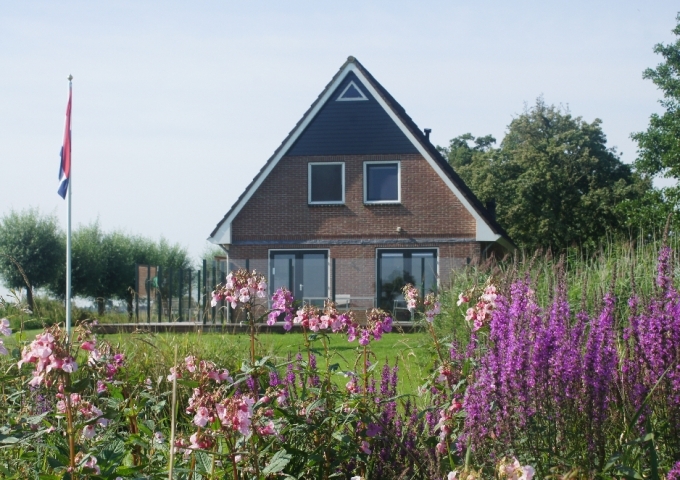 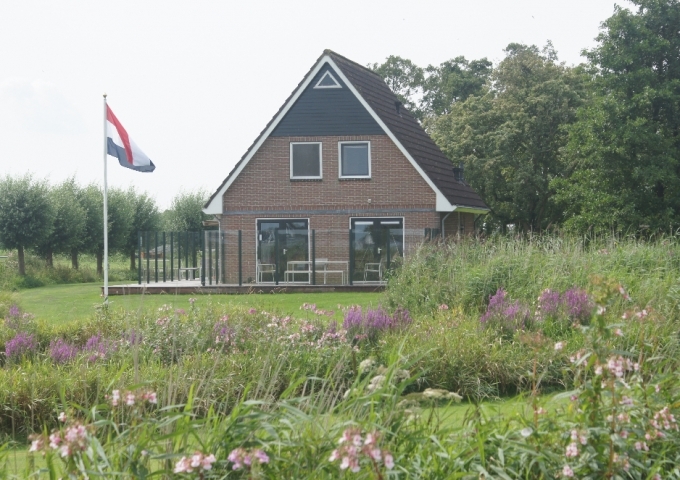 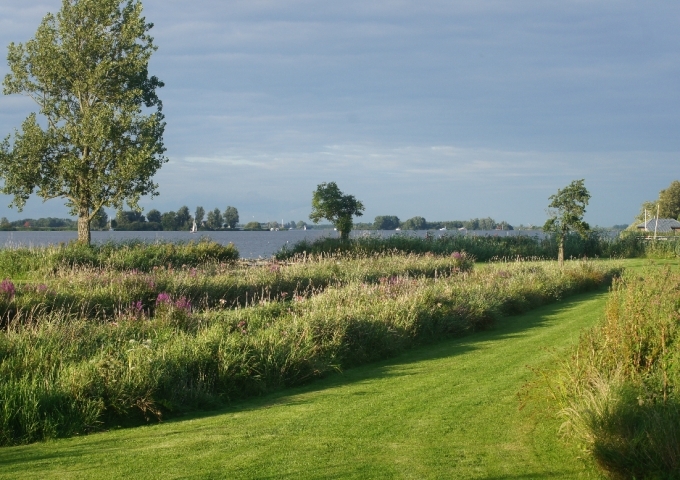 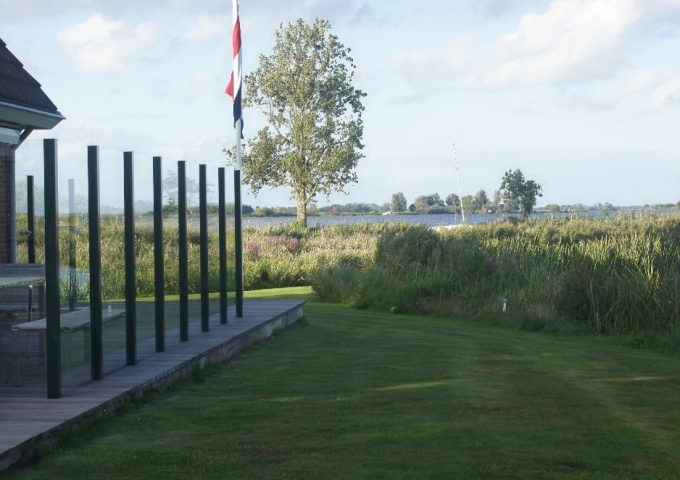 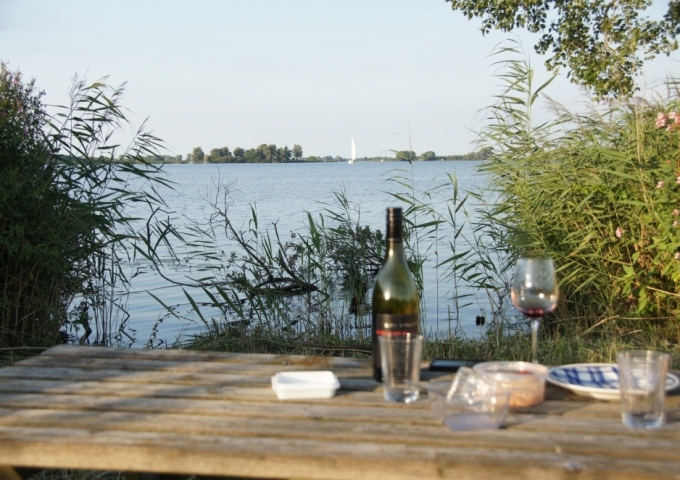 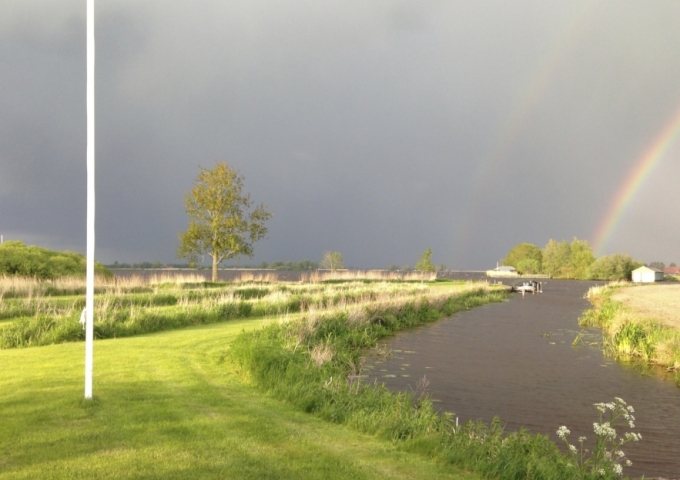 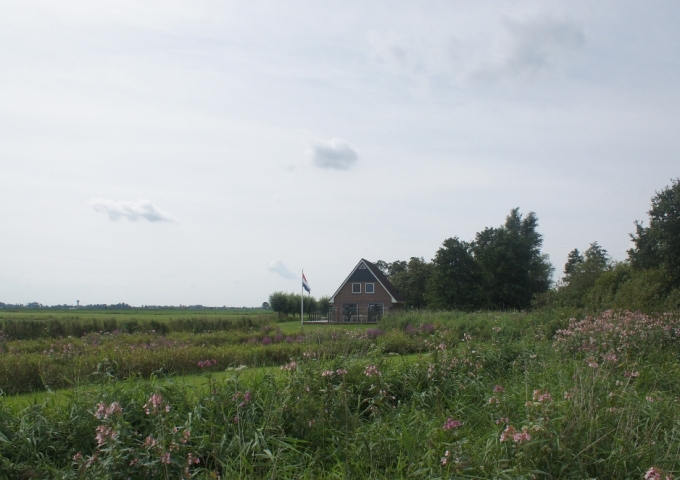 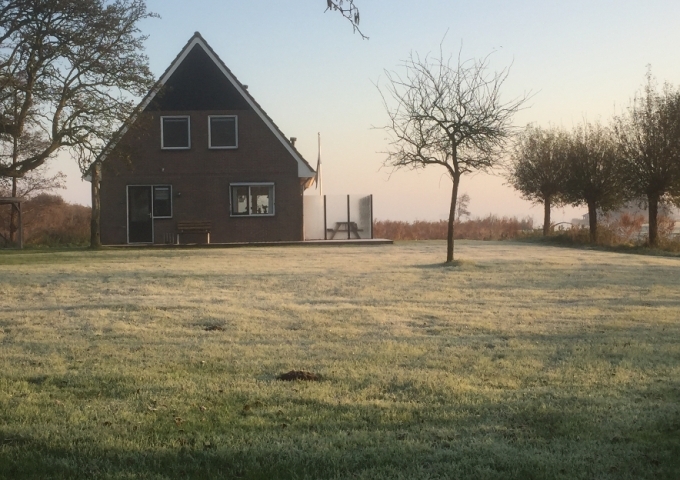 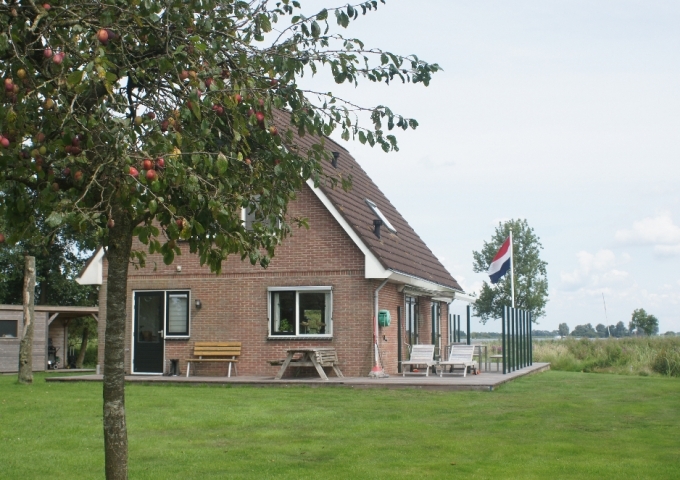 The position of the house is unequalled, directly to the "Wijde Ee" at Grou, on a very large plot of 7.735m2, with a view over the whole lake. 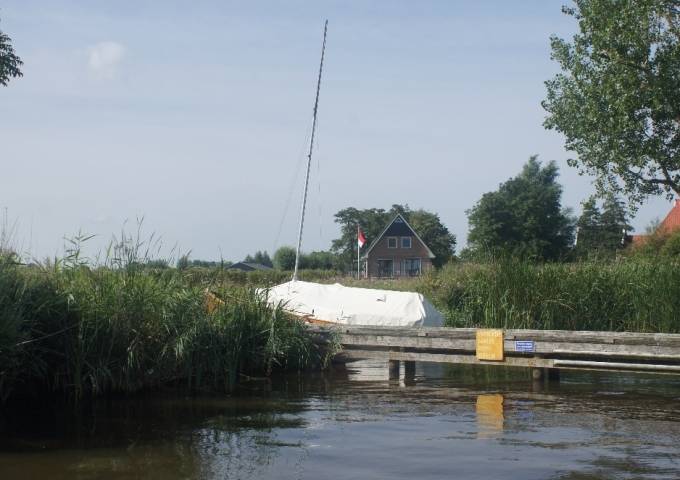 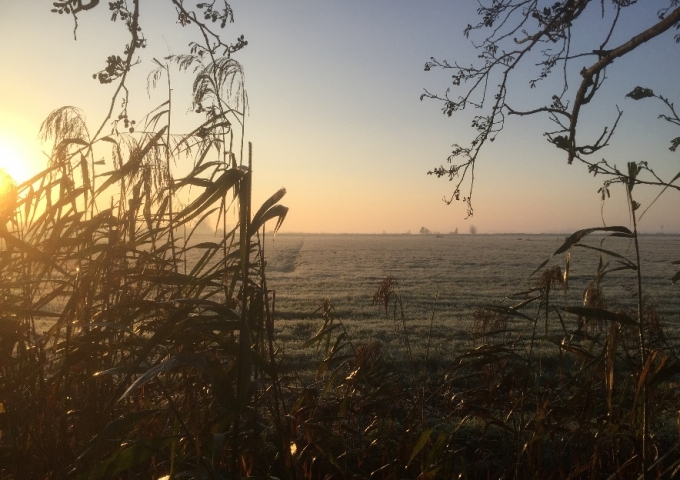 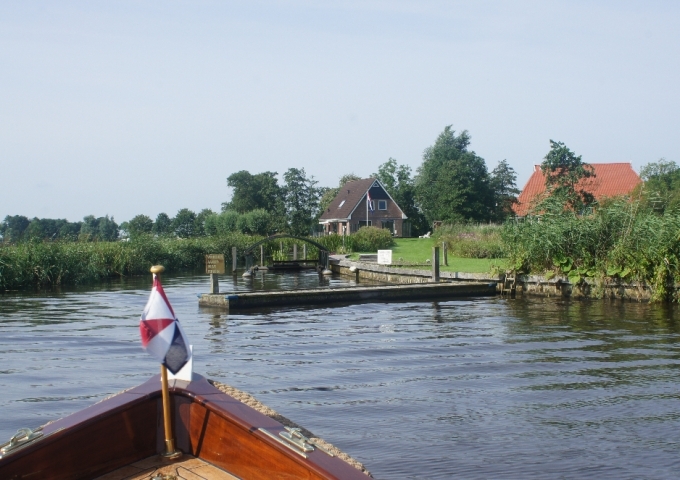 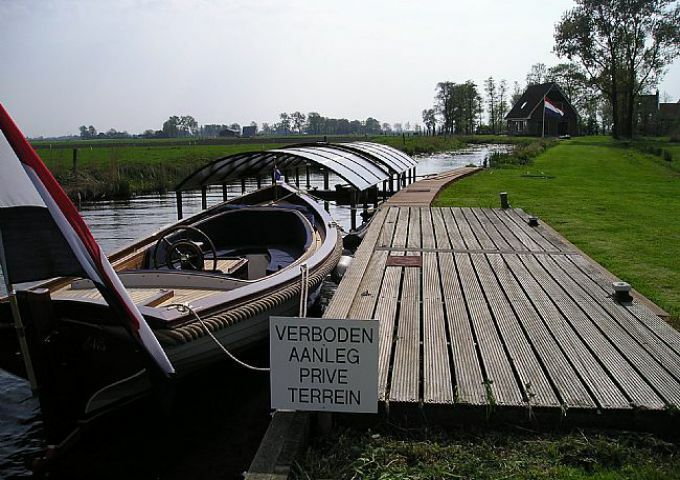 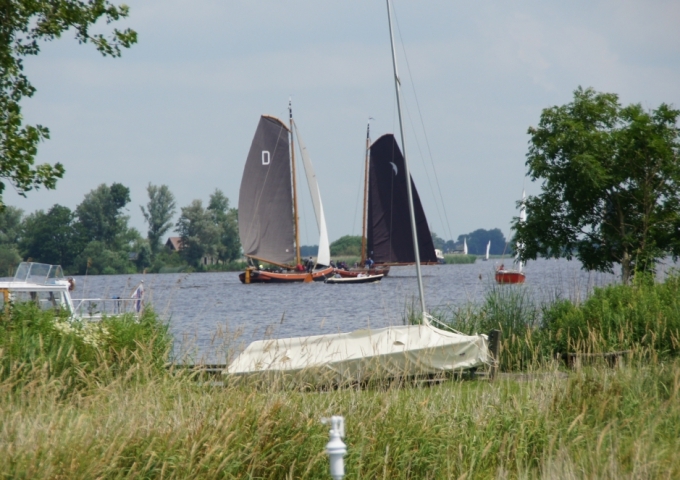 The surroundings lend themselves pre-eminently for making excursions in a launch and both the national park "the Alde Feanen" at Eernewoude (Princenhof) and the lively town Sneek are easily within reach. 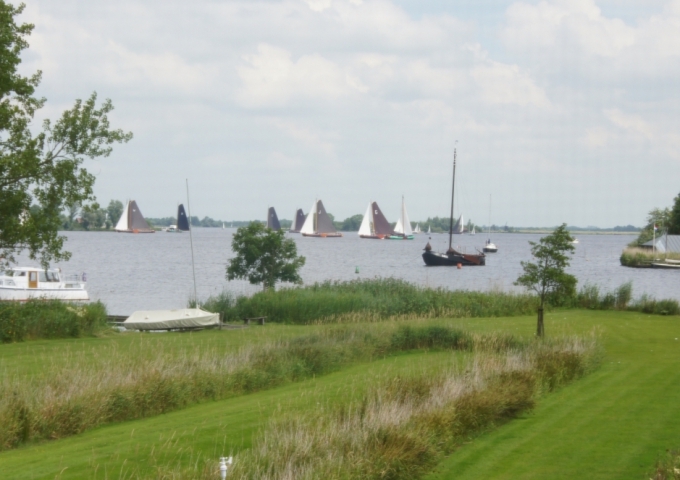 Of course there is also plenty of sailing, canoe-ing, rowing, swiming and fishing possible. 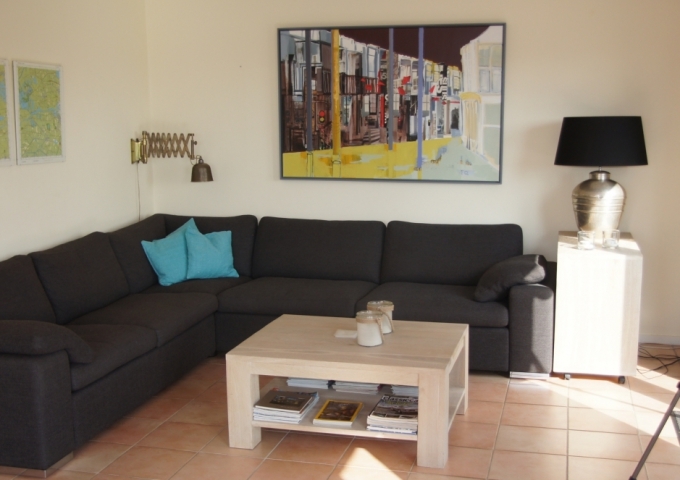 The house is very comfortably furnished. 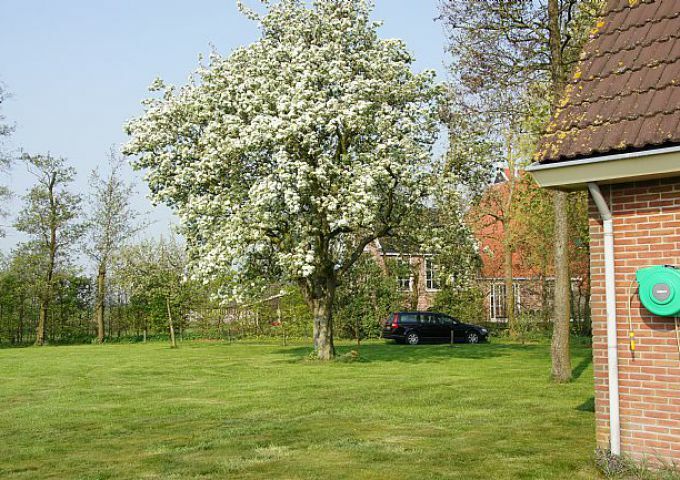 For more details we refer to the description of the house and of course the photographs. 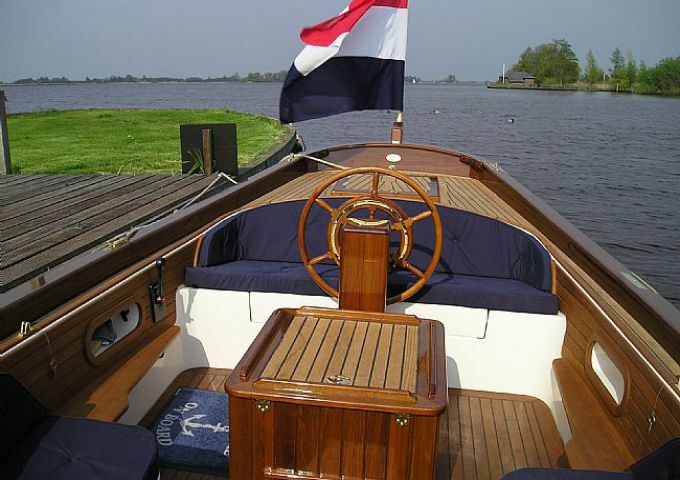 If you want to see more of "the Captains Launch 7.0 Comfort" please do visit http://www.wajer.nl. 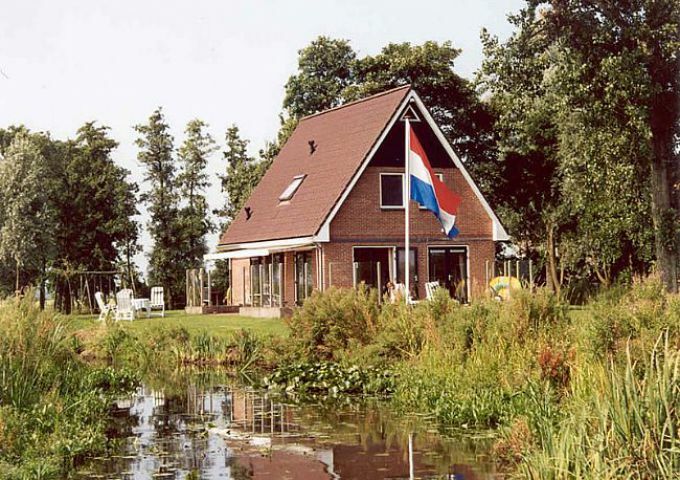 Modern house built in 1995/1996. 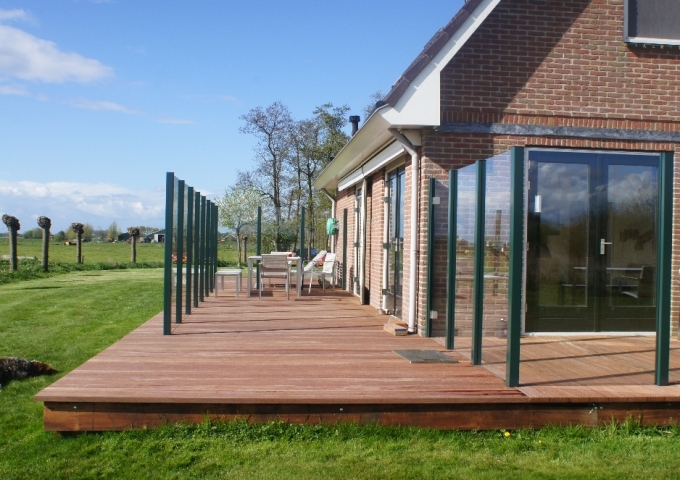 Dimension 10.80 m by 7.95 m.
Terrace on two sides of the house with tiles. 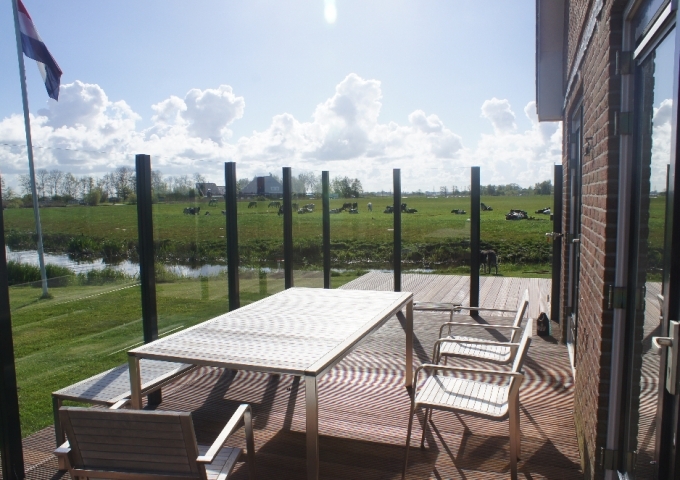 Grounds and own water 7,735 m2. 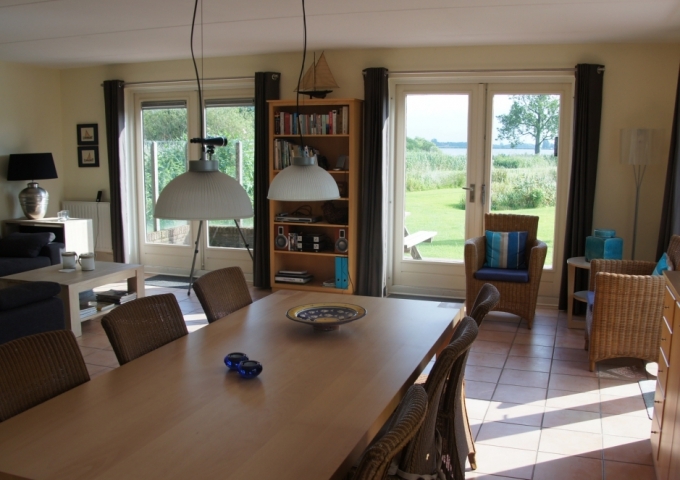 Free view to all sides of the house. 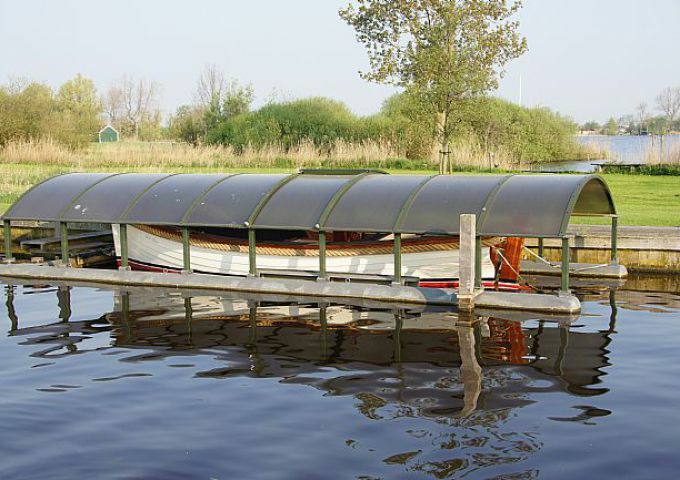 Central heating/warm water Combikettel Nefit. 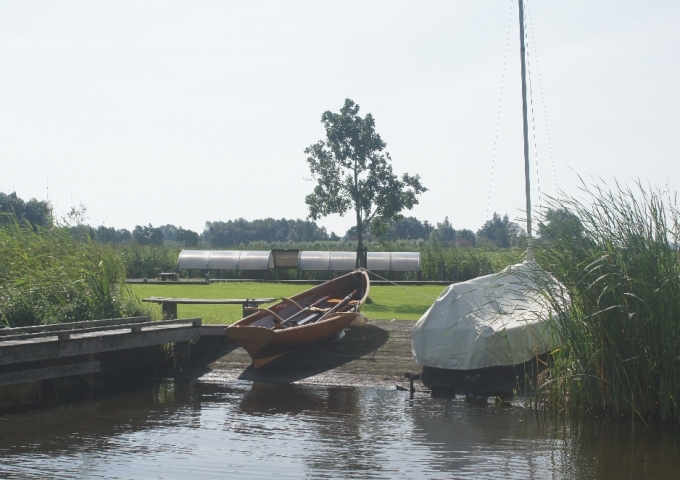 Rubber dingy and a canoe. 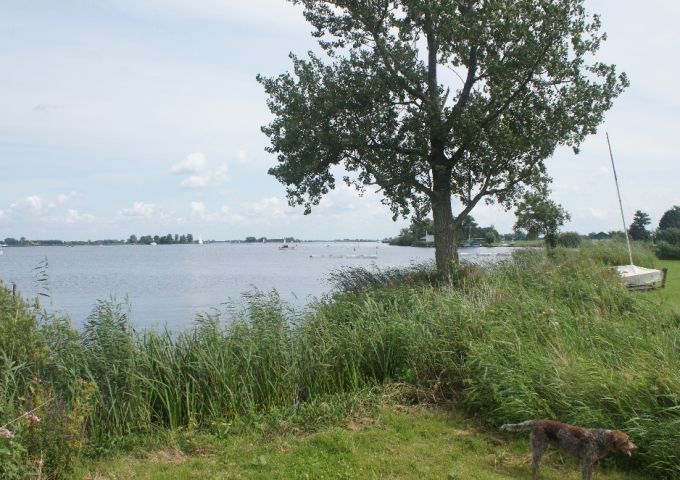 ingredients when they are almost finished. 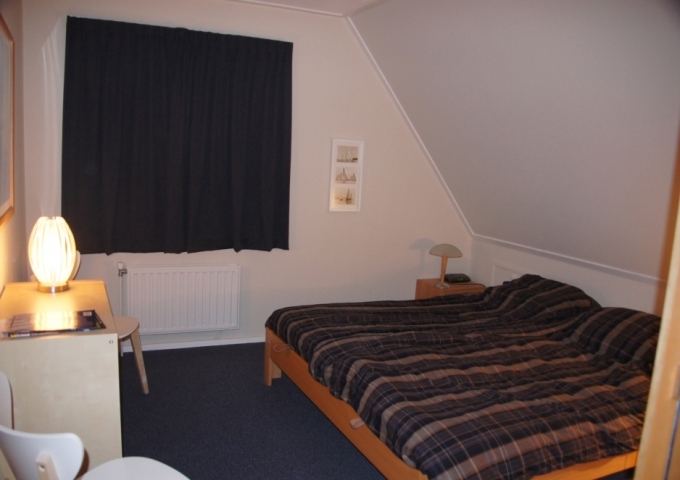 mattresses) and 2 bedrooms with each 2 separate beds 90x200. 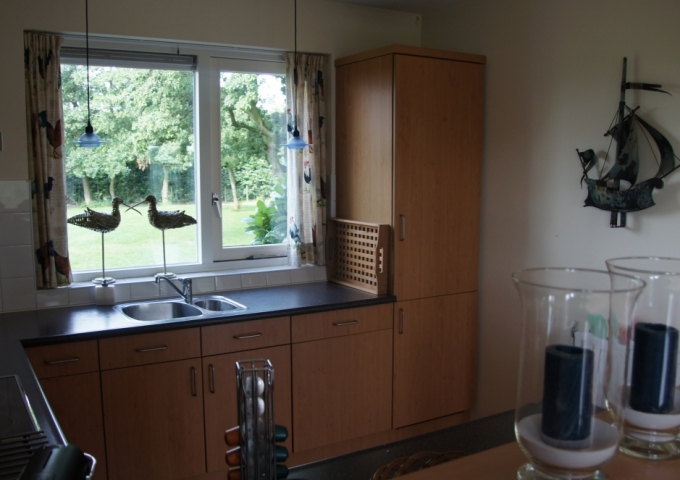 Bathroom with bath, separate shower and double wash basin. 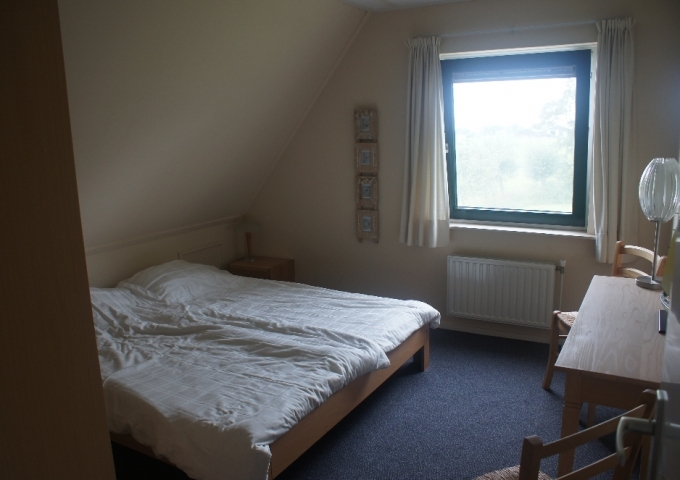 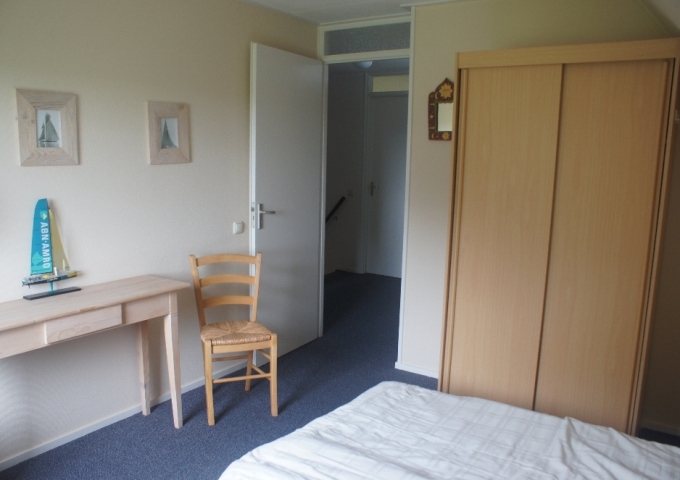 All bedrooms are provided with cupboards and "draai-kiepramen"
Cost mandatory end cleaning € 85. 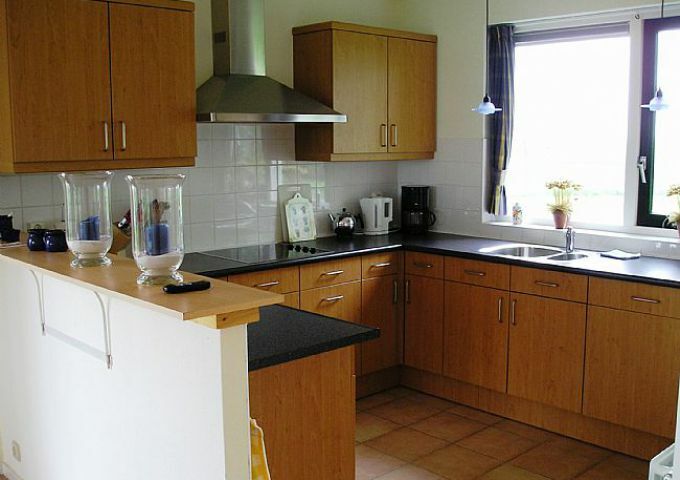 Toeristenbelasting 1,00 p.p. 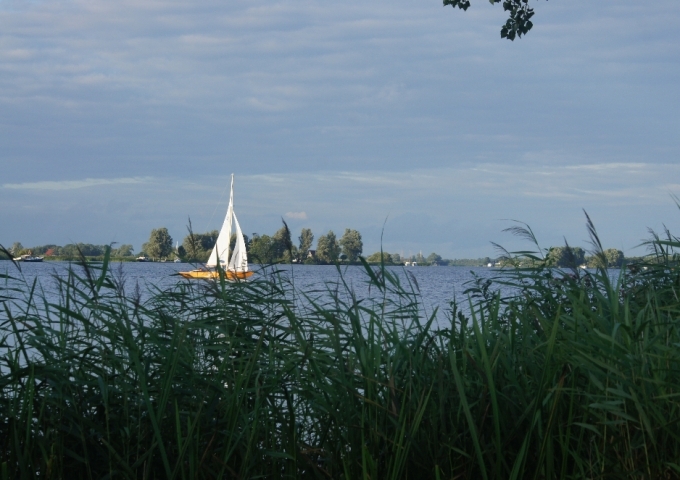 per nacht.